By the word speech it is clear that something related to voice or communication. 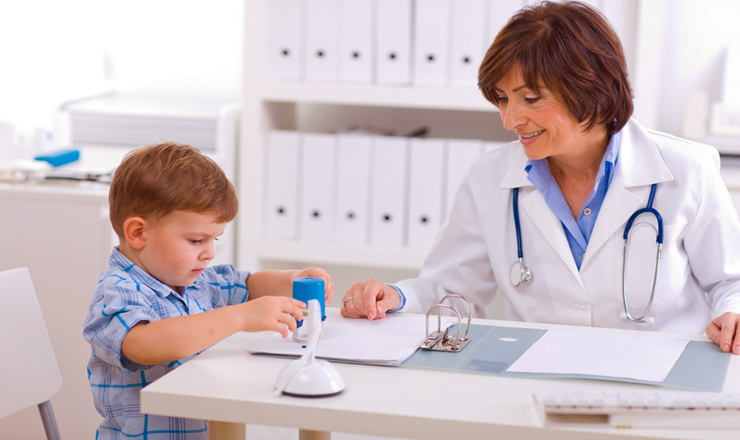 The term speech therapy means to apply therapy on the individuals suffering from speech disorders. Speech therapy is an associated branch of health sciences which is related to the disorder of voice, speech & language of a person. In recent times, speech therapy & audiology have become promising career options. Speech therapists are the specialists who treats people facing problems related to speech disorders. They helps the people having speech and language problems and who are lacking in fluency. Speech therapists are also called as speech-language pathologists (SLPs) and speech pathologists. Speech therapist treats/counsel kids, children and adults. They also work with older people who lost their ability to communicate because of the medical reasons such as accidents, strokes, removal of the larynx, etc. They have a degree or diploma in speech therapy. There is wide scope career in study of speech therapy. You can work as a doctor or as other job roles in this field not in India but also in abroad. There are various sectors for different courses under the speech therapy profession. You can join according to your course. You can work in the given sectors such as clinics, district disabilities rehabilitation centers, rural health centers, speech and hearing centers, etc. Speech Therapists demand will be high & have a wonderful scope for professional in the future. Candidates willing to opt this profession will get the details about courses from here. Below we have listed some popular speech therapy courses. Students can take admission in bachelor courses after clearing higher secondary examination in PCB group from a well-recognized educational board with 55% marks. To purse postgraduate programme, one must have passed the bachelor degree in the related field. Most of the colleges admit students to bachelor and master courses on the basis of entrance test which is a NEET 2019. Many institutions/Universities conduct their own entrance test for offering admission like All India Institute of Medical Sciences, Post Graduate Institute of Medical Education & Research, Jawaharlal Institute Postgraduate Medical Education & Research (JIPMER 2019) and many others. Admission process vary from college to college. Some institutions provides admission based on the marks students scored in the qualifying examination. In India, Job prospect in the field of speech therapy is good. Postgraduate in audiology & speech language pathology can work as lecturers in medical colleges. Graduates in audiology and speech language pathology can practice in hospitals in the department of ENT, pediatrics, neurology, rehabilitation medicine, speech and hearing centers, hearing aid industry, child guidance center, etc. They can also practice as independent audiologists. Those have a doctoral degree in the above field can be a part of human resource development at different training & research centers. Diploma holders can assist audiologists and speech language pathologists in schools of hearing impairment, mental retardation etc. Speech therapists are also required in reputed hospital like All India Institute of Medical Sciences (AIIMS). After acquiring degree in relevant field, speech therapist can also open their own clinic. Most of the speech therapists work in public schools. You may either work on healthcare setups like at hospitals or work at NGOs, nursing homes. You can also work on your own rehabilitation and private practice setups. In India, Speech therapist earns the salary of around Rs. 2.5 to 3 lacs per annum. With the years of experience, salary increases. Private hospitals offer better salary as compared to government hospital. Your remuneration will depends upon job title and organization you are working for. In abroad, the earnings of speech therapist ranges from $52,000 to $80,000 per annum. For more information about Career In Speech Therapy, you may ask us by commenting below. Delhi mn bs AIIMS university h speech therapist mn??? Kay speech tharappy and hearing aid. Karni Kai bad. Government Hospital Mai job ho sakta Hai Kay. Agar aisa Hai to. Government Hospital ka name send kar sakti Hai Kay. I score 172 in neet . so can you give info about fee needed for the whole course in a gov college. hi, good evening, would like to know whether a child who is going to appear for 12th science this year is eligible for this speech therapy course. has she to appear CET or NEET Exam. is there any government recognized colleges in Pune or is it out of Pune city, as my child would like to pursue in this course.